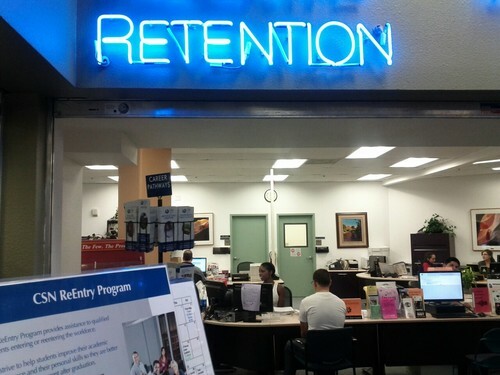 Look for the blue retention sign! Are you struggling with classes? Are you having problems adjusting to college life? Get in touch with your Student Retention Service. Student Retention, also known as Student Success Services, has one mission: “Helping CSN students succeed and achieve their educational goals.” It strives to achieve this mission by helping students complete coursework, follow through in their degrees or programs, and help students reach a timely graduation. There are some things to expect during a student success appointment including: finding the cause of academic problems, learning personal strengths and limitations, connecting to campus life, and creating an action plan. These are intended to benefit the students by focusing in on specific needs. 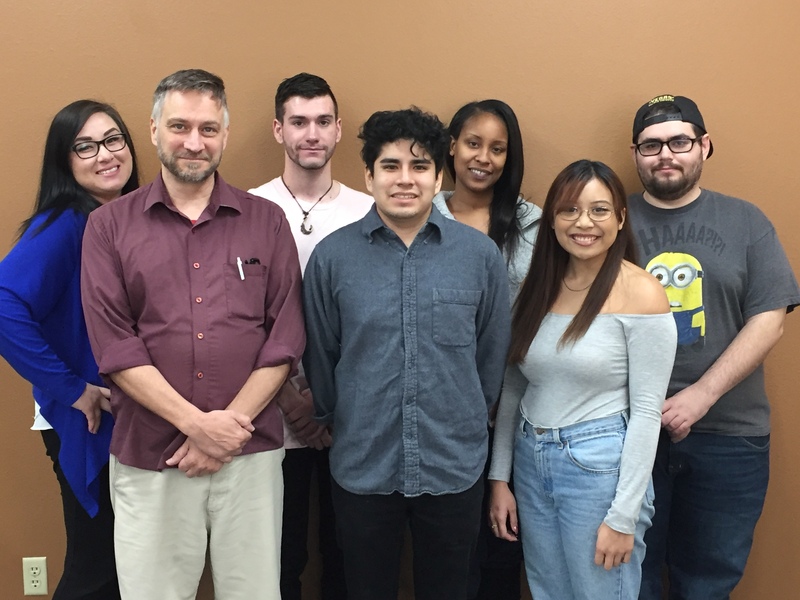 Services are offered at each CSN Campus, Monday through Friday, from 8 a.m. to 5 p.m. Getting in contact with Student Retention Services is easy at studentretention@csn.edu. Do not despair! With help available from these services you can bet you’re on the way to a successful college career.